microRNA molecules belong to a class of small non-coding RNAs composed of 21–24 nucleotides and have been identified in most eukaryotes. These small RNA molecules can either transcriptionally or post-transcriptionally regulate expression of their target messenger RNAs. Access to the latest RNA-profiling technologies (e.g. high-throughput sequencing) in combination with computational analysis has contributed to rapid development in the field of miRNA research. Species-specific and highly conserved miRNAs’ control in plants biological processes. Nevertheless, regulatory functions of plant miRNAs have not been still fully understood. Hence, one of the major challenges in plant miRNA research is to find out their regulatory activities that may create an opportunity to develop new strategies for improving crops. This paper provides an overview of the current knowledge concerning the mechanisms related to plant gene regulation via miRNAs. Moreover, it includes an updated overview on the bioinformatic approaches that are available for identification of new miRNAs and their targets. It also includes some specific data on key functions of plant miRNAs to show potential impact of such small RNA molecules on diverse biological processes and their biotechnological significance. Current challenges and future perspectives have also been highlighted. 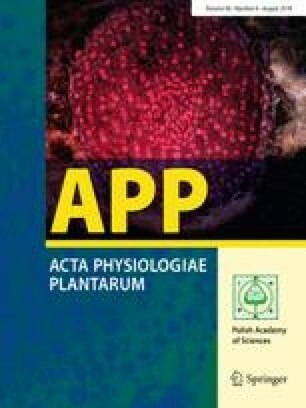 We would like to thank Prof. S. Malepszy (Warsaw University of Life Sciences, Poland) for valuable comments concerning this manuscript. This work has been supported by grants from the National Science Center—2013/11/B/NZ9/00814 and 2011/01/B/NZ2/01631. MS, MP, and WP conception of the work and wrote the paper; ZP critical revision of the article; MP, AS, and PO data collection for preparing of the tables and figures; and MW preparing of the tables and data verification. MP and AS preparing of the figures. All authors commented on the manuscript at all stages.